The goal of this dental practice is to restore and enhance the beauty of your smile using the most careful, cautious and minimal treatments possible, including state-of-the-art procedures that can lead you painlessly to a long-lasting and beautiful smile. Because we maintain exceptionally high standards in our practice, we can provide you with the high-quality dental services you deserve. We offer comprehensive treatment plans and use both cosmetic dentistry and restorative dentistry procedures to achieve the best possible dental health for you. And if a dental emergency should happen, we’ll see you quickly and help you put things right. We strongly believe in preventative care and education as the most important factors in establishing and maintaining the dental health of our patients. That’s why we like to say that we offer dental health care, not disease care. That starts with a thorough examination that checks your teeth and gums for general health, then we perform an oral cancer exam and take x-rays as necessary. We also understand that cleanings, sealants and other procedures can make a big difference in preventing dental disease and offer you the fullest possible array of options. We focus not just on the beauty of your smile but on your overall health. That’s why we review your medical history, the medications you take and any illnesses that impact your overall health. Because care so much about the overall health of our patients, infection control is very important to us. To protect our patients as well as ourselves, we maintain strict sterilization and cross-contamination prevention processes using the recommendations of the Centers for Disease Control and Prevention (CDC), the Occupational Safety and Health Administration (OSHA) and the American Dental Association (ADA). 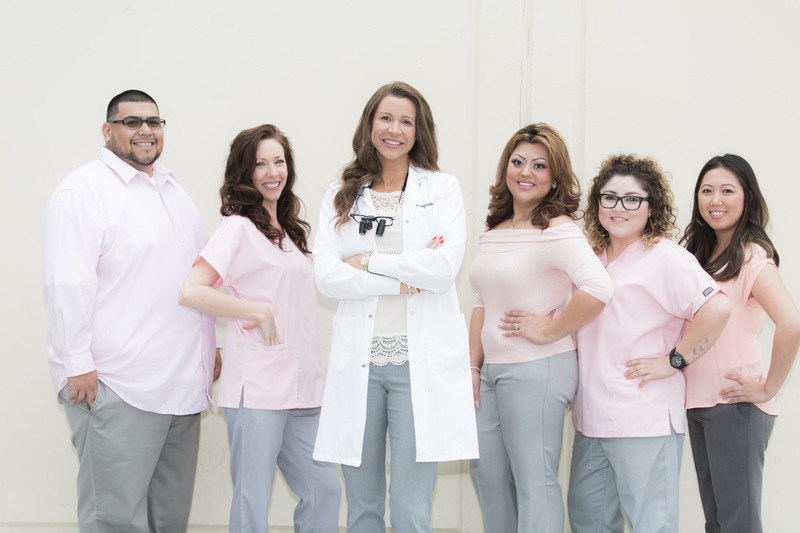 You can be confident that the dental health professionals who work at this practice are highly trained and skilled clinicians who take pride in our ability to provide the dental care you need for a healthy and fully functional mouth. Because we insist on providing unmatched service and above-average results, our practice is committed to continuing education for all our staff. We attend lectures and meetings as well as conventions and conferences in our effort to stay informed about the latest products and techniques and the best new equipment for modern dental offices like ours that are committed to state-of-the-art care. We are also participating members of a number of dental associations that help us stay on top of recommendations and changes in our professional. We have achieved a high level of success in the dental industry because of the foundation of trust that we have established with patients like you. We know that patients are often uneasy about dental visits, but we do what we can to provide a positive, relaxing atmosphere. Our team is completely dedicated to providing you the excellent, personal service and care you need so that your visits to us will be comfortable and pleasant. We offer our sincere thanks to you for allowing us to be your dental practice, and we look forward to serving you again and again. Why not schedule an appointment now? When you come to see us, we provide a genuine reason to smile. Call (619) 640-5100 for a free consultation with Dr. Paige Woods, DDS.